Free Hello Kitty Rhinestone Watch! Good news Hello Kitty lovers! Sanrio is giving away a free Hello Kitty Rhinestone Watch for every $150 purchase on their online store! The watch will automatically appear on your shopping cart once your order reaches a total amount of $150 or higher. 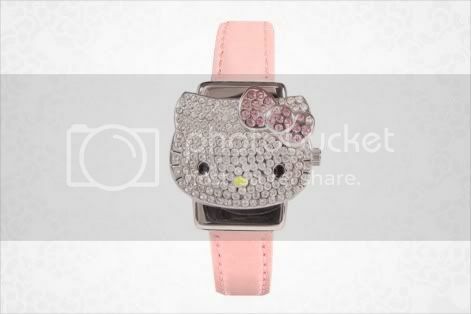 This lovely watch is covered with sparkling rhinestones, beautifully forming Hello Kitty’s face. It also comes with a nice pink strap with a metal star charm. This offer is good while supplies last so hurry up and place an order now if you want to grab one! SanrioTown August Event: Minigames Challenge! Are you up for another exciting SanrioTown event? This month, a new challenge awaits you in SanrioTown’s Game Center! There’s only one rule in this contest: dominate either of the two games we’ll present to you and get a chance to win new sets of exclusive prizes from Sanrio! Check out one of the games we’ll use for this event and practice hard in getting a high score! Just log in to SanrioTown with your account and go to Game Center, then play the Super Engineer game! The other game will only be available when the event officially starts. Good luck in advance everyone! Keep checking out SanrioTown’s main blog for future information on this contest. 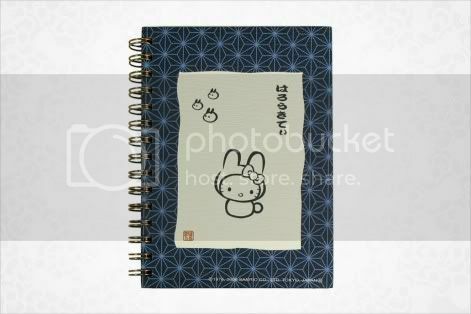 Jot down your busy schedule in this cute Hello Kitty Spiral notebook! The item has a unique design that gives off an Asian feel to it and has a lovely Hello Kitty bunny drawing. Rounding it up is a frame, beautifully covered in a diamond mosaic pattern. Check out the item here.